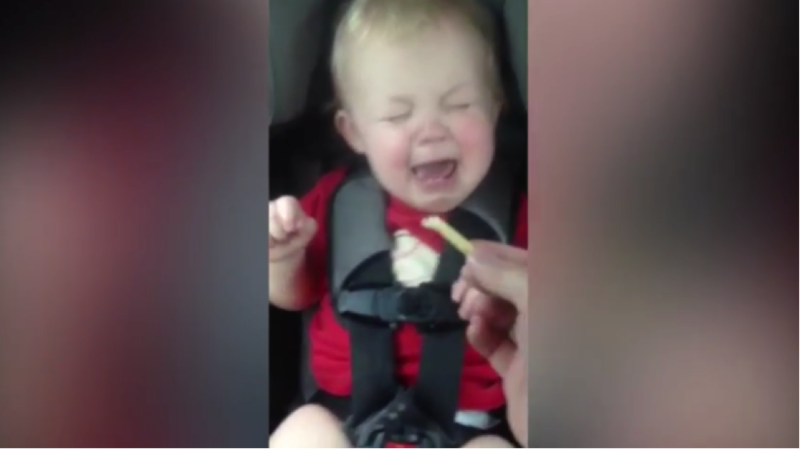 Don’t mess with this baby and his French fry! We have seen toddlers, in that case even grownups, sleeping with their favourite sleeping partner. These often are called as security objects and they usually are in the form of pillows, teddies, stuffed toys or blankets. But Lo and behold! Our cute little munchkin is fascinated over a piece of French fry. Now that is something, isn’t it? The warm and salty snack not only cures the boy’s hunger pangs but also aids in his comfort slumber. The boy’s cries in the video could literally conquer the world. Nevertheless, the parents are conscious of the cruciality of the situation. They know a French fry or anything as small as such should not be in the vicinity of a napping child. Food or anything tiny that a sleeping child consumes may cause chocking over the object. And this fact is definitely dangerous. 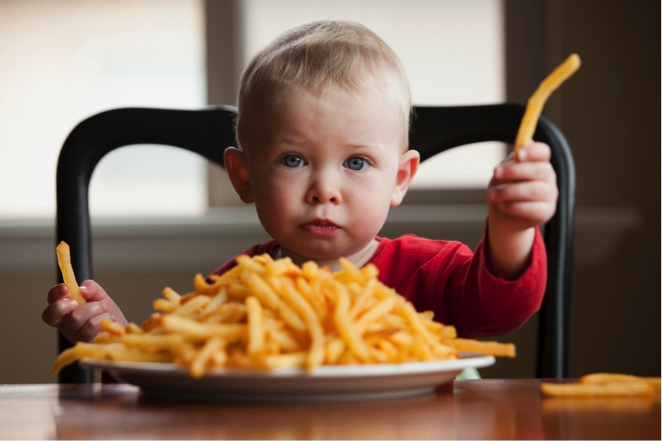 However, the parents try to take the fry from his hand; three times to be precise. He is so attached with his snack that he is not ready to fall asleep unless he is sure that no one snatches it again. 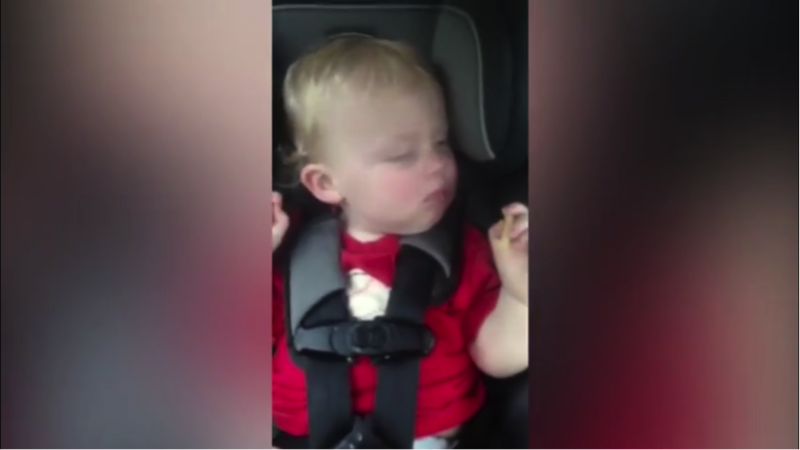 The response of the baby is definitely hilarious and at the same time, concerning. Check out the full video to comprehend the mother’s desperation of the cranky toddler. The video has been topping charts of America’s Funny Home Video clips.